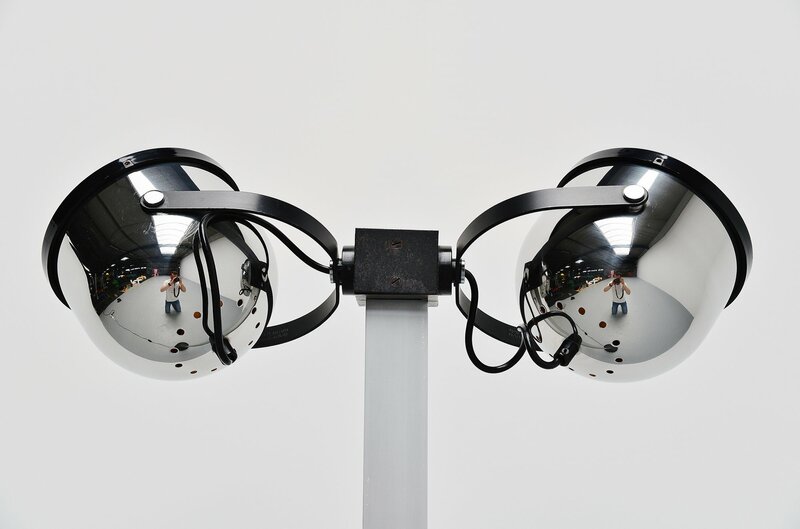 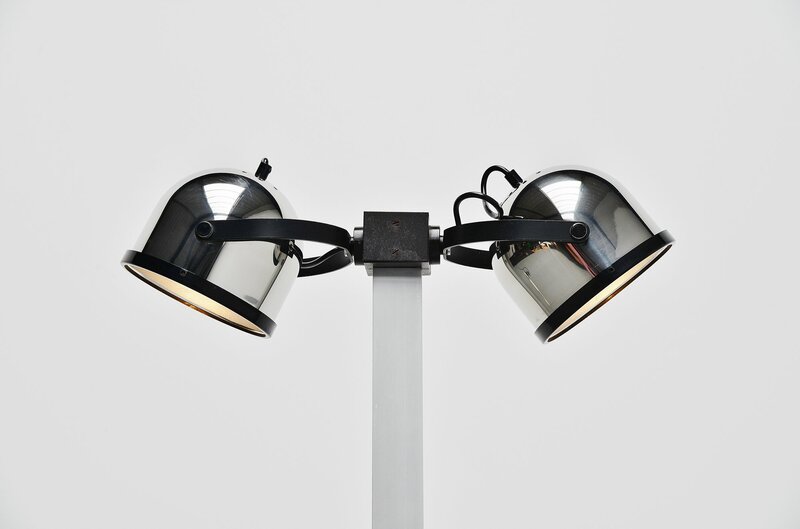 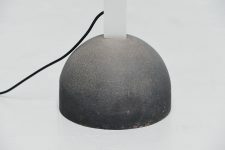 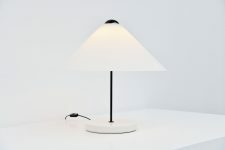 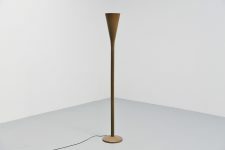 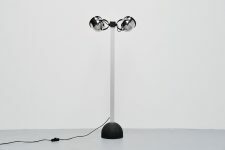 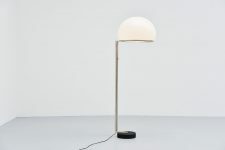 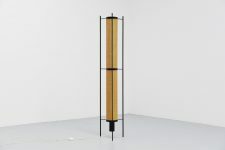 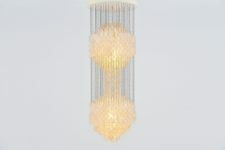 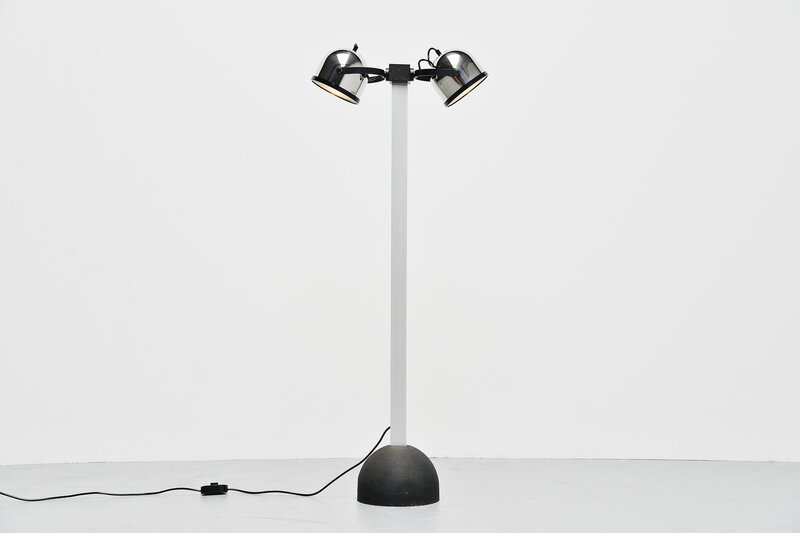 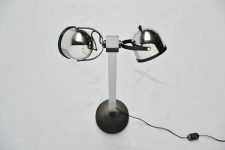 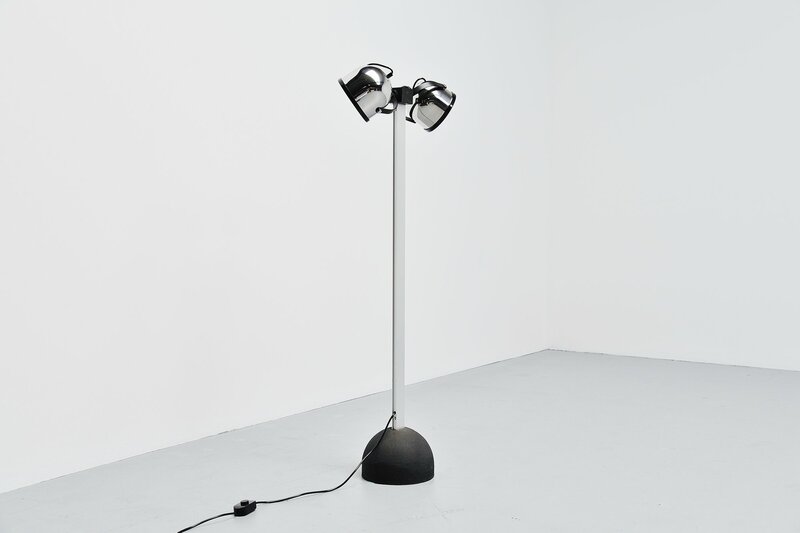 Rare Sistema Trepiu floor lamp designed by Gae Aulenti-Livio Castiglioni, manufactured by Stilnovo, Italy 1972. 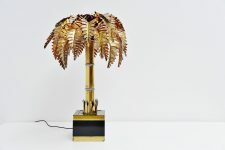 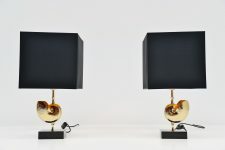 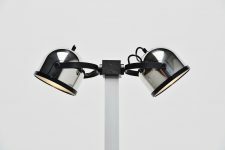 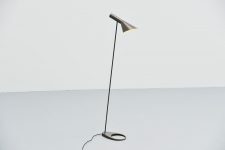 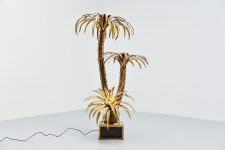 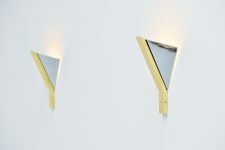 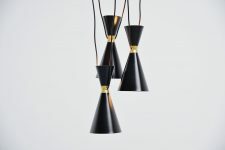 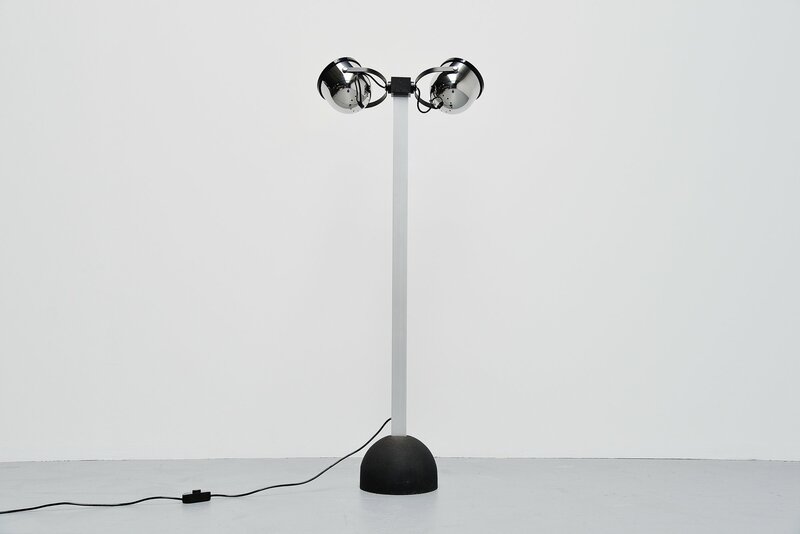 This small floor lamp has a black crackle painted base and an aluminum stem, the shades are made of chrome plated metal and adjustable in different positions. 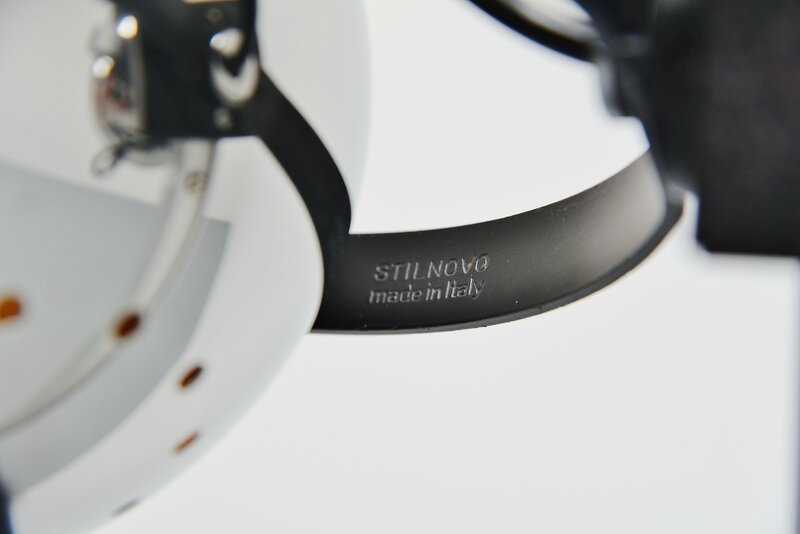 Signed with the Stilnovo mark on the top of the arm. 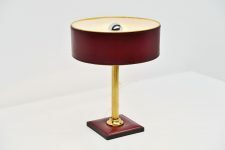 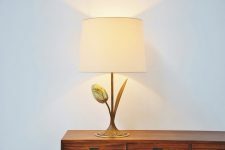 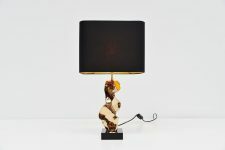 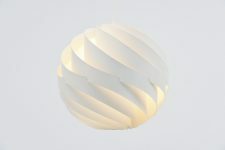 Lamp is in good original condition and fully functioning.